Tile Turn windows are the ideal window if you are looking for windows that are easy to operate and require minimum fuss to maintain. With their clean and modest design they are the perfect style for any modern home as they will look good for many years to come. Markwell have these windows available in a variety of colours and surround options including the popular aluminium, hardwood and durable and strong PVCu styles. 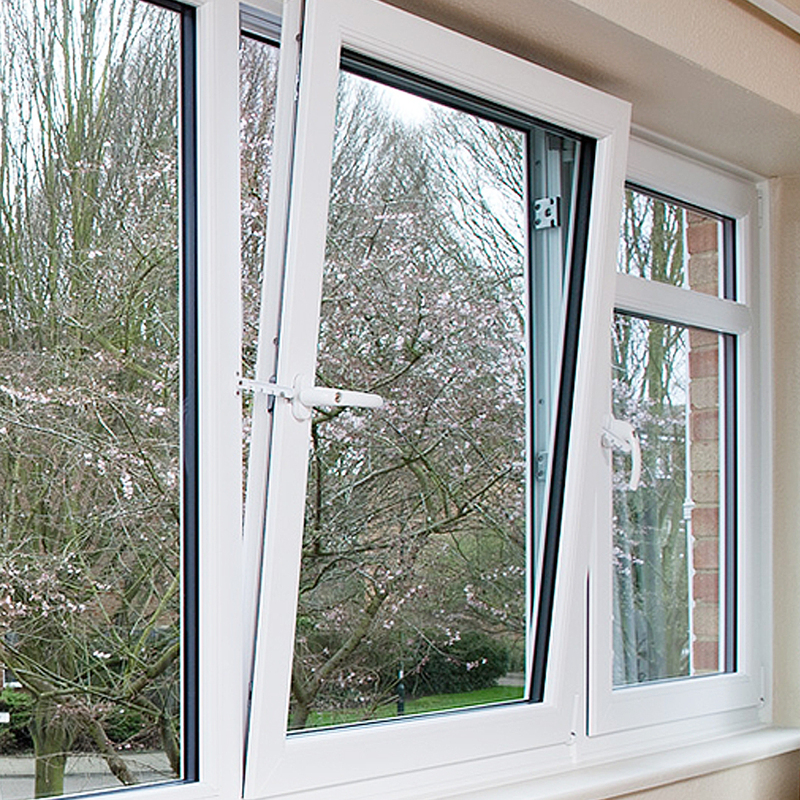 These no fuss windows are simple and easy to operate. To open just slightly for secure ventilation is simple a quarter turn of the handle, whereas a half-turn will allow the window to swing inwards on its side hinges for easy cleaning or to allow in extra air. To aid safety when opened on the hinges a system is provided that prevents the window from opening too wide, so they are ideal for upstairs rooms with children. Tilt turn windows also keep the warmth inside during the winter months and let the fresh air in to cool the room down during the warmer months of the year with their glazing. They allow plenty of light into rooms through their design along with being easy to clean both inside and out with this adding to their no fuss reputation. Markwell’s tilt turn windows are glazed and beaded from the inside, as well as being reinforced to give strength and durability, to give you the maximum security. 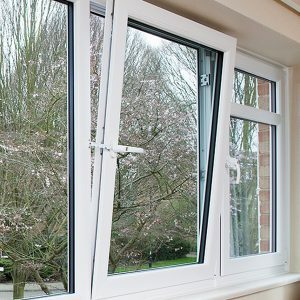 These windows will keep your home free from drafts, they offer great ventilation, they provide many safety aspects, are quiet and provide security to your home all year round. For a no obligation, competitive quote on tilt turn windows, give us a call as we would be more than happy to offer you an obligation free quote from one of our experienced team.